A month ago I received an invitation from a Zimbabwean man (note I withhold his name as I do not have permission to publish it ) to attend a Political Conference on Zimbabwe in Huddersfield, UK. The reason for attending was to learn more about this new intiative. On 26 May 2011, I attended this meeting and I found out everyone in attendance was so passionate about Zimbabwe and everyone present is a leader or was once a leader within the Zimbabwean community at home or abroad. I followed events of the day with interest and everything the participants at this conference discussed was about taking Zimbabwe forward .I did not understand why I was the only woman in attendance until I came back from the meeting to find my name cited in one of the media articles by Zim Eye and thereafter receiving many phone calls as to why I was forming a political party. However, I just want to thank all men present at this meeting for being gender sensitive in their discussions and all issues for women and girls they took to heart. As you know the struggle to fit into male spaces is very hard and the more the men form such initiatives and we watch them do whatever they think fit the more we complain and stay outside.I boldly stayed the whole meeting because I felt that the more we interact with men, the more they understand and respect our views and ideas. This is how we get into patriarchal spaces and strike gender balance in public office. I wish many women had attended this meeting. Zimbabwe is a country that is very polarised and should you greet, meet, talk, phone, dine, dance, laugh or be close to anyone from either of the so called political parties or pressure groups then the interrogation, stalking, harassment and insults do not stop. I received so many phone calls even though I do not hold a significant position in the newly formed Zimbabwe Yes We Can movement. I was just in attendance like any other participant and was keen how on earth they could think now more than ever Zimbabwe must forge ahead when everyone in the world and in Zimbabwe seems to have given up.I posed a lot of questions and I was honest to say this would be a mammoth task. Even when I was given a platform to speak I told all men present there is no way women and girls could be left out in public office given the fact men came from our wombs and should they treat us bad as women we will take back into our wombs and lock them up there .Of course I have Zimbabwe at heart and want to see how women and girls get to be involved in such forums so that we get a lasting solution for our country. Upon my return from this meeting, I saw nasty comments directed at me through online news sites who carried the story. And then I said to myself, no wonder women are not active in political, social, economic and many public activities because of such backlash. I told myself that it will be another century before political spaces open up for women and girls in Africa. This is one area dominated by men and boys(youth miliitia). As always when all phone calls and chat messages come to me,I remain steadfast and very calm as am used to this now. I know what harassment a woman must endure to keep the space to do whatever she wants to be. A woman is always treated as if she is a little baby who cannot think for herself. To think I come from a community that has such a culture of intolerance where no one is allowed to associate with anything or anyone and to think we live in a community where just attending a meeting would have bullies harassing you like this makes ours a tragic case as Zimbabwe. But a woman like me who was once a vendor in dark streets at age six has learnt to fear no human being. I thought it best to speak out like I always do and put a response to a nasty comment someone posted on Zim Diaspora news website and call upon Zimbabwe to develop a culture of peace ,tolerance so as to let Zimbabweans grant each other freedoms of association, speech, to be heard and understood and many other freedoms we see in countries where we now reside. Above all, attacking and defaming someone`s name without substantiated evidence is immoral. Imagine if someone is to wake up one day and call you a thief without you being convicted in any lawful court , that would mean just anyone can be a judge and hail shouts at anyone. Very clear we need rule of law and stop this lawlessness as a country. The only way to teach Zimbabweans to do it the right way is to have a good group of people who do our International and National Public Relations to restore confidence in all Zimbabweans and other nations that we are an educated and civilised nation that can meaningfully engage and make networks and friends. Also as citizens we must be out to teach other Zimbabweans to be factual, honest and truthful and to insist that besides those we know to be boxed in a political party ,religion, language, tribe or class there are those of us who are explorers and who seek to learn and share more before we take any side. We must respect those who think outside those boxes and thats why attending the Zimbabwe Yes We Can movement conference made me think we have good Zimbabweans around us to forge ahead and transform our nation. 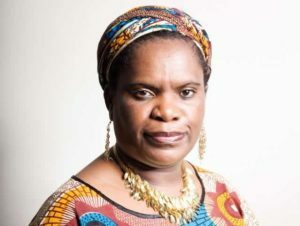 I am openly informing you that I am Muzvare Betty Makoni and whenever I come to discuss issues of Zimbabwe ,welfare of women and girls I don`t use a pseudo name or hide my identity as issues we are discussing are open issues any Zimbabwean must feel free to talk about. First I must make it clear that I am a gender activist invited to attend meetings in Zimbabwe community and worldwide. Each time I meet a group of Zimbabweans in a meeting to forge ahead on economic, social, political and related issues I attend in my personal capacity. I am confirming to you all that I attended this meeting like any other Zimbabwean who was there. I was attentive and analytical at every stage of this meeting and I saw a new culture of dialogue developing and I saw visionaries from Zimbabwe coming together for the first time. As long as people meet to forge ahead I encourage them. Every Zimbabwean whether thief, prostitute, good,bad, right ,wrong, saint, devil has a right to be anywhere they like and discuss anything they feel like discussing. Here in UK we have freedom of speech, association and expression and am so happy when I was at this forum I was allowed to speak my mind without being victimized. This is what it should be. No one has a right to stop any Zimbabwean from associating with any organisation. We have polarized Zimbabwe for selfish reasons. Many people especially women fear to do political activities because they are labelled thief ,prostitute and other names. As for me Muzvare Betty Makoni I stand by my principles and everyone I work with knows this. I tell all Zimbabweans who attended the Zimbabwe Political Conference never to stop dreaming what they want. There are dictators in Zimbabwe at all levels that make it impossible for us especially women to do anything .We must think outside a small box and go beyond just certain names and people as Zimbabwe has a lot of potential. To those who are coming on board Zimbabwe Yes We Can movement I advise you look at bigger picture of what you want to achieve. Many achievements in life come when you remain focussed. With all defamatory statements hailed at me one would think I would stop but if you know me I keep going and each insult must makes me a stronger leader. We women and children are looking for someone in Zimbabwe who will unite everyone and stop all this polarisation, political circus and hate language and anything that makes the poor poorer and rich richer. We are a country that is stinking politically, economically and morally and honestly amongst us there are many who can think what we can do because I know as a country with educated people we can do something. No one has a right to stop anyone from doing anything. To Ephraim Tapa and your team if this is what you want to do socially,politically and economically don’t be interrogated at all. Dream and keep going. Acts of harassment and stopping others from trying their passion should not be allowed. Being a fighter myself I urge any Zimbabwean woman or girl who wants to do anything with their life to have self confidence and do what they want despite the worst things said about them.We must not pay attention to those who discourage us but to those who encourage us. Anyone with personal issues with me please contact me on 07951522790 and come direct to my office with evidence to show me what all these false and reckless statements you make about me under false names are about.I asked many times for you to meet me direct but three years now you have not showed up. Don’t talk behind my back as am an open and direct woman leader with her dignity in public and private life. If what you are saying is true why hide under a false name. I am an empowered woman and very truthful in whatever I say and will never use a false name in public and once you lie about who you are you lie about everything. Zimbabweans must learn to speak directly and openly and this cyber war going on with vulgar language right in the face of children should not be the heritage we must leave for our children. I will be following the Zimbabwe Yes We Can movement closely and if I think women and children have a stake in it I will make a public statement and encourage them to join. But first thing first …I am following everything with sharp eye and I never get to lose my sight on visionary and good leaders. The last update I posted on my facebook today sums it up so well . I get invited to many religious ,social,economic,political forums to speak or to comment.If I attend a baby shower it does not mean am the one pregnant,if I attend a wedding it does not mean am the bride,if I go to a church it does not mean I am the pastor,if I attend a political conference it does not mean I am the politician.Attending all these forums make me understand others and issues they represent more. Betty, as one woman who has been called everything under the sun because I dare to fight men’s views on women, I say you are playing right into their hands when you write about what they are saying about you. With all due respect, you have achieved way more than most of those people. When you have a public persona and you are bound to be attacked. This is just noise. Ignore it. Noise stands in the way of you changing the status quo. Yes. It hurts. But ignore it. Do not lose sight of your goals. When I accused the bosses of the Zimbabwe media including Nyarota whom everybody loved as a sexual harasser who did atrocious things to women journalists but was hailed by the world. I was hated by Zimbabweans male and female. That was years ago. A couple of years ago, a female journalist from Zimbabwe who writes from China and is much younger than me said the only thing that interested her about Nyarota were the sexual harassment charges I had brought against him. Apparently,he took a world tour, cutting me down. That brought more attention to him and his behaviour. I am glad you attended that meeting. You already made a point. Ignore the noise.